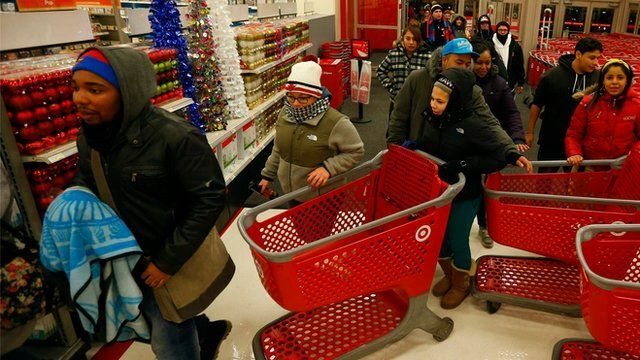 Bargain hunting on Black Friday Jump to media player US shoppers faced with tighter household budgets are hunting for bargains on Black Friday, the biggest shopping day of the year. 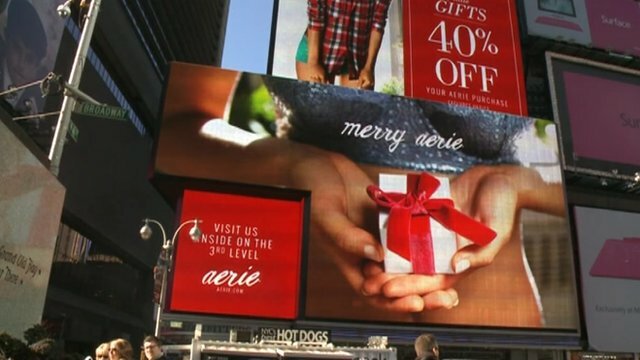 Businesses seek Black Friday boost Jump to media player Retailers in America are preparing for the busiest shopping day of the year with 147 million people set to hit the shops. 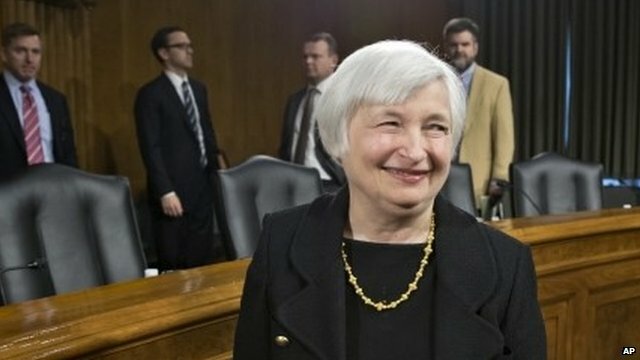 Yellen: Objective is 'robust recovery' Jump to media player Janet Yellen, the woman the White House wants to run the Federal Reserve, has defended its stimulus efforts and vowed to continue them if confirmed. 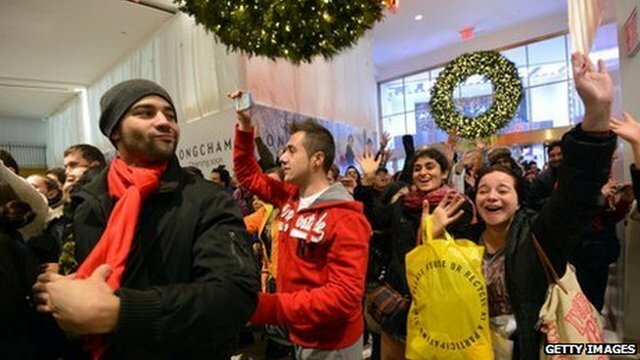 Black Friday, as it is known, is the biggest shopping day of the year for US retailers - the day after the Thanksgiving holiday. More Americans have jobs than a year ago, but incomes are failing to keep pace with household costs, so customers are being even more careful with their money. Samira Hussain reports from New York.